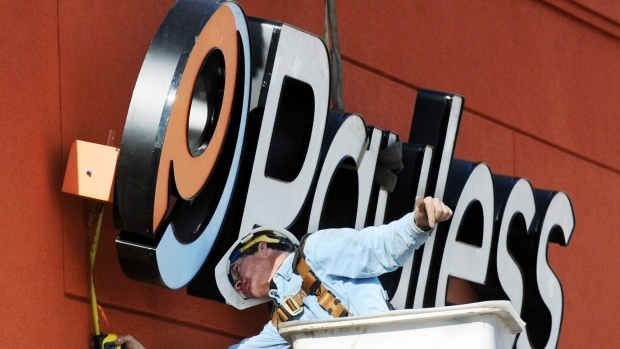 Payless Inc. is preparing for its second trip to bankruptcy court with a plan that could drastically shrink the size of the discount shoe chain, according to people with knowledge of the matter. The retailer is seeking a loan to get through bankruptcy proceedings and discussing plans to shutter a significant portion, and potentially all, of its North American stores, said the people, who weren’t authorized to speak publicly. A representative for Topeka, Kansas-based Payless declined to comment. Payless would become the latest in a wave of retail bankruptcies during the past two years as online rivals and heavy debt overtake once-iconic brands like Toys “R” Us and Sears. There’s no letup in sight, with at least half a dozen names going bust so far this year, including Shopko, FullBeauty Brands, Charlotte Russe, Things Remembered and Gymboree. The latter sought court protection for a second time last month and is liquidating most of its business. Payless was founded in 1956 with the goal of selling affordable shoes in a self-service setting and says it’s the largest specialty footwear chain in the Western Hemisphere. The company struggled to manage debt taken on in a 2012 leveraged buyout by Golden Gate Capital and Blum Capital Partners, filing for bankruptcy protection in April 2017. It emerged with fewer stores, its debt cut in half and creditors owning the company. The chain employs more than 18,000 globally and operates about 3,600 outlets worldwide, according to its website, with more than 2,700 in North America.